There are actually a lot effective ways to stop hair loss but for a women that suffering from thinning hair, you have a few good choices of treatments. Medications - Minoxidil 3% (Rogaine) Minoxidil is the only FDA Approved treatment for hair loss and the 3% formula is specially formulated for women opposed to 5% for men. It works as a hair stimulant and it can stimulate new hair growth. It's the best way for treating Pattern Baldness. However, once you start it, you have to continue using it or else all the hair that you have grown will be lost. 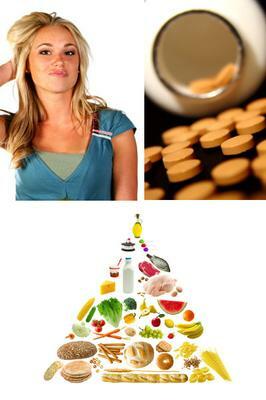 Vitamins - Important sources of vitamin B group like Biotin and B12 are crucial for hair growth and thickness. If you take them, you will notice your hair will thicken and looks much more nourished. I suggest getting Vitamin B Complex as a supplement as well as Vitamin C.
Zinc and Iron are also essential for improving your blood circulation to provide the essential nutrients to your hair. Diet - low sodium diet helps to reduce your kidney and liver's burden and can help redirect the energy to building a stronger and healthier hair. Take foods rich with Omega 3 fatty acids like fish but don't fry them or else you will destroy the vital nutrients. If you are worried about Rogaine, the alternative treatment should be Viviscal. Many people have shown tremendous results of hair growth from using it. I hope I can provide you with the solutions that you need. However, hair loss can be much more complicated based on your age and any other possible underlying conditions like menopause, hormones and pregnancy issues. Join in and write your own blog page! It's easy to do. How? Simply click here to return to Thinning Hair In Woman.